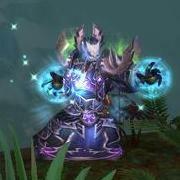 This thread is for comments about our Restoration Druid guide. Guys check on Cataclysm Flask/Food/Potion they are better than current MoP ones! I'm rusty on Druid healing overall, but Glyph of Efflorescence seems super useful, yet I don't see it mentioned at all in the guide. Forgive my ignorance, but what's the downside to using this glyph, what have I missed? It's probably going to be fixed soon, so we'll wait for a few days and if it doesn't get fixed, we'll add these enchants. The glyph no longer exists. In fact, Efflorescence no longer exists as such anymore, either. It's baked into Wild Mushroom now. why would you go with haste over mastery? Cast times??? The one and only heal with a cast time you have is regrowth, EVERYTHING else is instant casts and we no longer have hastecaps on the hots so just wtf? I'll let Vlad elaborate on this, but on the technical side, you are wrong. It's not because a cast is instant that Haste has no influence on it. Haste lowers the global cooldown, so the higher your Haste, the less you have to wait before casting another spell. So, when it comes to Haste, instant-cast spells are the same as regular spells, they have a "cast time" of 1.5 seconds, just that this "cast time" takes place after the cast. I would say that between Haste and Mastery, it's pretty close. The consensus at the moment seems to be that it's Haste that wins, but frankly, I would say that the difference is so small that you won't even notice it by shifting around between these two stats pre-WoD. Ok that explains it at least somewhat. But I think it wouldnt hurt to mention that in the guide. Also useful would be some information about how the scaling works like this much haste for a gdc of 1 sec this much for 0,75s etc... Also isnt the gdc reduction caped at some point? The GCD caps at 1 second, which you reach with 50% Haste. I too think we should mention these things in guides. I'll see to it that it gets added when we do the WoD update. To elaborate more on haste: it's true that there are no more breakpoints but that doesn't mean there aren't any more points in haste where we get a whole new tick. With the partial tick system you will still gain more ticks of healing with haste, it just means you can be anywhere in between these points and still benefit fully. On SoO at 90 mastery in my opinion wins out because of terrible encounter mechanics and how they interact with absorbs, but with new encounters at 100 haste is going to compete with mastery, so much so that as Vlad said, you won't see much of a difference between the two. You forget Wild Growth now has a cast time. And does haste still affect the amount of times my HoT ticks? b/c then haste would be the better of the two with Nazgrim's Burnished Insignia because of how multi-strike works more ticks gives a greater chance multi-strike can occur. So for me personally with that trinket it makes more since to go haste. According to Recount my multi-strike is making my Wild Growth tick 800-1250 more times on most fights in Heroic and Mythic SoO. Causing about 30% of my Wild Growth heals. Spell heals usually go as follow Wild Growth>Rejuv>(Efflorescence or Life Bloom)>Tranquility>Regrowth> and then healing touch living seeds, legendary, genesis and any other spells fall in after that. Also I think the guide is grossly undervaluing displacer beast. It's not even mentioned if it's useful or not. In my opinion it's the best one there, where I use it of MANY times by waiting for the last second to blink somewhere or past something. Just like wild charge it's a situational spell that should be considered. In general I agree feline swiftness will be the default but not even mentioning the advantages of DB I find odd. For me it was either not proccing at all or not healing for much. Look at my logs from Tuesday from immerseus -> Shamans. I switched to SC trinket after I noticed it wasn't doing anything. Ok I thought you were saying that nazgrims trinket was useless, I see that thok's Cleave is not working so I will probably switch out of it also for this weeks raid. I love Icy Veins and really appreciate your work on the guides! I am curious about this statement -- "Since Genesis consumes your Rejuvenation effects, you must be careful not to over-use it, because re-applying Rejuvenation to multiple players is very expensive." Even without raid buffs, I regen mana faster than I spend it casting rejuvenate. Is this just more of a warning for WoD? I noticed that Lifebloom was in the current rotation for heals. The tooltip states, 'Duration refreshed by casting Regrowth or Healing Touch on the target.' When I cast either Regrowth or Healing Touch on the target that has my lifebloom applied it is not being refreshed. Is the tooltip incorrect or is lifebloom currently broken? Does this affect it's use in the healing rotation? Genesis: this is probably due to not being sure how mana regen would work when the pacth dropped, but it's also a warning for Wod. Lifebloom: Yea definitely still refreshes for me. how the tree of life affect other spells ? While in tree form the druid can cast spells just as in caster form, and several spells are enhanced. [Regrowth] becomes instant cast, [Wild Growth] affects an additional 2 targets, [Lifebloom] can be cast on multiple targets, [Entangling Roots] becomes instant cast, and [Wrath] has its cast time halved and damage increased by 30%. The instant cast regrowth and improvements to Wild Growth and Lifebloom make it an especially potent raid healing form, but the 15% bonus to all healing makes it a good cooldown for any healing crisis.